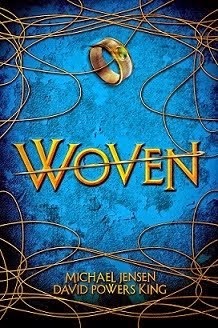 Before I get into this, I should tell you that Goodreads is offering a giveaway for 20 COPIES of Woven! If you're a goodreader, or if you have been looking for a good excuse to join, now is your chance. Also our first major review for Woven is in, and it's a good one! Go see what Kirkus Reviews said about our high-fantasy ghost story! I went to a launch party a few weeks ago, and met author friends who I haven't seen in a while, online or in person. We talked about blogging and the current state of the Blogosphere. Our observations had come to the same conclusion: we blog way less now. Some authors there hadn't blogged in months. If you do a Google search, you'd be surprised how many "Is Blogging Dead?" links there are. There's no solitary explanation for this turn of the tide. Just factors. When I started this blog, I was a budding young writer, stoked from my first writing conference. I was also the father of one infant. My job wasn't demanding, and my chosen BS courses came easy to me. I was also a renter. I had free time on my hands. Lots of free time. Fast forward to today. I'm a father of three. I own a house. I'm not in college anymore, but that BS degree landed me a good job that's ten times more demanding than school was. On top of that, my first book will be out soon. There is a demand for more. Free time I have not. I can imagine that many of you have grown as well. We jumped on this blogging business because word had spread that "agents will look us up" and "we have to have an online presence" should we wish to have a chance of being published; me included. That was my initial motivation. But in the long run, my motivation found cause in the community. For the first time, people got me. I wasn't alone in this crazy dream of being a writer. You have kept me going, even when I was begging for the self-inflicted torture to stop. It's been a year since a paradigm shift rocked several aspects of my life; this hasn't stopped me from visiting blogs. Some have gained momentum and are still going strong. Others ceased before they got going. Some are no longer with us. The blogosphere is going through a sense of loss. But rest assured, regardless of what state our blogs are in, it's more than okay if higher priorities have taken its place. Everyone's journey has their own pace. Take as long as you need. For me, I've found success through being a friend first. I somehow lost sight of that, but I intend to make up for it. And that's why my NaNoWriMo goal is to visit every, single, person who has followed my blog and see what they are up to. What you are up to. I have already started. You are my crew. You helped build this. You had a hand in this, so what kind of captain would I be if I didn't check in on you? Is the author blog dead? I don't know. But I'm going to find out. What has been your observation about the Blogosphere in the last year? Is it still alive? Can we somehow revitalize the author blog? I'm David, and why did this guy have to make Pinocchio scary? Friend first - well said! I'm still going as it's the best way to connect with everyone. And trust me, neither I nor the IWSG is going anywhere. DITTO. I would not be where I am today without all of my blog buddies. I couldn't imagine going it alone, and it's the knowledge that other kind people are in it with me that keeps me going. I remember starting a blog because that's what serious writers were supposed to do. I posted randomly to having a schedule (three days a week at first and then up to five days a week). I've cut back a lot, but it's because I'm busier and have less time. I still love the community and visiting people. For me, my blog is my favorite form of social media. I don't think it's dying but changing. I started my blog because I wanted a forum for my ranting. :) I'm not promoting anything. I don't consider my blog an "author blog." So I feel a bit strange when so many bloggerss promote each other's accomplishments. Sometimes this leads to bloggers writing similar posts. If blogging is dead, I guess I'm one of the walking dead because I still keep going ... and I'm constantly seeking out writer blogs that actually talk about writing, strategies, styles (instead of constant promos). I crave the connection with other writers, and I can't tell you how many times I've read something on another writers' blog and a) suddenly realized what was wrong with my WIP b) breathed a sigh of relief that someone was having the same problems as me or c) realized I actually had a relevant piece of advice to offer. 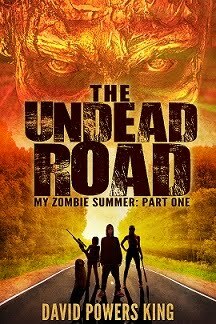 So here's to all the zombie writer blogs still shuffling along among the dead. I hope we keep going! I'm coming up on 10 years of blogging. It's changed a lot, and there have times I've pulled back, but I've stuck with it the longest. David, this is a question that arises in my mind on a daily basis. My blogging experience has been pretty much the same as you - I just have no time these days. I hope it's here to stay, though. I've met a ton of great like-minded peeps, and it helps to have other writers' support in low times. I hate to think blogging is dead since I only started my blog a year ago! :( I love meeting new people through these sites! I'm blogging a lot less than I used to. Some of it's burnout; I've been blogging since 2007. But I keep trying. One thing about the blogosphere--I've made several good friends through blogs. OH MY GOODNESS. That is how I found you again. I decided to visit everyone that followed me on Journaling Woman. I will do it for Ruralhood, too. I wanted to see what everyone is up to. Honestly, 75% are still blogging. I'm not finished AND I don't have only about a third of your followers. PS Exciting about your book. Blog because you love to, because you want to, because you can't help but write. I blog less but I think I consider what I write more. As time goes along priorities change but you get to decide what to keep and what to let go. Author blogging isn't dead, it is just evolving. Plus I think authors are realizing blogging isn't a must for authors and probably those who stick around like myself have blogging in their blood as well as writing in other forms. Woven is getting closer to it's release date and I couldn't be more excited for you David. Also thanks again for the book prize and I'm moving forward with my double nano thank you very much. I started blogging in 2012 and people were already saying blogging was dead. But I've connected with so many people, and I still blog purely because I enjoy it. Congratulations on all the exciting things happening with Woven! I think "trending" is the term for it. I doubt author blogging is dead or dying, but change is inevitable. As you did, I have also grown as a writer and blogger, and sometimes there isn't enough time, or enough of interest, to blog much. I'd say my blogging community consists of about 1000 bloggers right now, but I know there are a lot of bloggers out there I neither know or follow. Circles are expanding and contracting all the time. Over the last five years, I've seen my small portion of the blogverse go through many phases - this marketing tendency is just one more. I have to say, that without the blogs, I doubt I would have worked so hard at becoming a published author. Slowing down isn't a bad thing; change is just change sometimes. Yes, THIS. Exactly how I feel. I blog a lot less than I used to, but I generally like to "listen" to others than talk myself. That said, I've found so many wonderful people through blogging, and would hate to try this whole publishing thing without their support! I've heard the same thing, that "before" authors needed to blog in order to gain exposure so that when agents look them up they see a presence. But you know what? I don't blog for that reason. 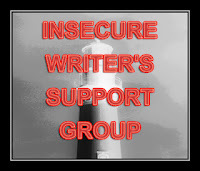 I blog because I enjoy meeting and chatting with other writers. Like you! I share information and learn a lot from other writers. I used to blog twice a week but now I only blog once a week. I'm totally comfortable with that. I have a home, a hubby, three teen sons. I wouldn't take the time to blog if I didn't enjoy it. Good luck to you with your book release! I look at blogging as a way to reach readers and to flex my creative muscles. That's why the vast majority of my posts are about different paranormal topics and not writing. Sure, the craft is part of my blog, but the mysteries of the universe are the true theme. Still, I've cut back as my job and personal life have become more demanding, so that's definitely a factor. As many who've already commented said, blogging is not 'dead', it's evolving. I started last February, as you know, & I've had to take a few breaks. Things happen; life happens, circumstances change. I'll continue blogging as I can because I've met so many wonderful people, yourself included.Your followers will still love you if you post once a month. In the end, you can only do what feels right to you. FYI, I started reading Woven the other night before going to bed because I kept hearing how good it is, now I'm addicted. I started falling behind in my NaNo wc because I wasn't feeling well for a few days, but now it's worse. Grrr. Hugs!! I'm a not-quitter. I may be the last person alive still blogging. Yeah, me and the ghosts. Or zombies. Or whatever they are. Not ghosts, I suppose, since they wouldn't be able to type. Unless they're ghosts in the machine. I may change how I blog, but I expect StrangePegs to stay around. I think we have more choice now, so blogging isn't exactly dead, but the way we consume information is rapidly changing, which in turn has an impact on blogging frequency and length. I definitely blog less than I did but I don't want to stop. I have made some great online friends and to be honest having the chance to connect with others who understand and share the same writing bug as me is crucial to keeping me going forward. Hi David .. once I got established as a blogger, I just settled in and am very grateful for friends who still visit - and enjoy the creativity I offer via the blog - I'm not an author, though will use my content as an outlet. LOL - that video is hilarious. Thanks for visiting my blog! I've missed you. I've struggled with getting around to visit my followers too, and I admire your goal. Wow. Great post and great timing (for me considering, I've been pondering the same questions). I've stepped out of the Blogosphere a bit so I could focus on my job, my relationship, and my writing. I'm very grateful for the friends I've made through the Blogosphere, and it's been interesting seeing all of our lives sort of grow, change, and unfold. What a great NaNoWriMo goal you have. You've come a long way, and I find your journey so inspiring! You made me all teary eyed. See? That's how you say I'm busy, but I value all my peeps. I think you're 100% right. It's a friendship and a community. You should do as you can, when you can. We're all in the same boat- we understand. I started blogging for the same reasons you stated and stayed for the community. Then I quit for almost a year to focus on writing a historical novel. 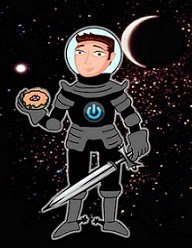 Now I'm back, but having trouble finding the will to do more than blog hops. It took me a long time to realize that writing and posting is only half (or less than half) the job. It's visiting other blogs, posting comments, and reading other author's work that makes one part of the community. And those are the aspects that take the most time. First, David, congratulations on all the progress you've made on WOVEN! I do not believe author blogs are dead. I enjoy blogging and visiting other blogs and seeing what people are up to. I also like seeing success stories, such as yours, because they motivate me to keep trying. As for the absence of certain bloggers, I just think that many people have a lot of other stuff going on in their lives. As for me, I don't log in here everyday. Outside of my blogging and fiction writing aspirations, I have responsibilities as a wife, mother of two, and a part-time news writer. I'm also busy with a number of volunteer gigs at both my children's schools. I'm the Scholastic book order volunteer for my daughter's class. I process all the Scholastic book orders and I send reminder and book recommendation emails out to the parents about book ordering. So I look forward to seeing WOVEN on a future book order catalog. I love my blog friends. In some ways, I think they know me in (better) ways than my "real" ones. I would really miss it if I just Quit. That said, I haven't had the time to devote it that I did before. As you say, things shift. Great post! I've only been blogging for a little under a year, so all of this is still "new" to me, but I can see how many author blogs are falling by the wayside. The one thing I've gained out of this whole blogging experience (and you talked about it also in your post) is this wonderful group of writers who have embraced me and offered support from the very first post. People who aren't writers don't "get it", but all of my writer/blogging buddies do. And when I need to feel uplifted after a rejection, or I want to share some happy news, all I have to do is click on my computer and visit my blogging buddies. I think it's great you've committed to visiting all of your followers. That is quite an undertaking, so good luck! And congrats on the fantastic review! I wonder about the blogging world too. I feel so much a part of this writing family I've found through blogging that I dread it falling apart. Congrats on the great review. Sometimes I wonder if author blogs are more about reaching out and making friends with other authors. If you want readers to read and follow your blog, you have to offer something entirely different. In the meantime, I'm going to keep my blog going just because I can. It may morph into something else once I'm published, but I won't know until then. This is why it's so important to really try new blogs each month when this group posts. This is the first I've come across your blog in a long time and I remember why I liked it. If blogging is dead, well then I'm a zombie. I've already commented about this on other posts, but what it boils down to it that my blog is my connection. I think many others have expressed that as well. I'm excited about your book and wish you the best. Thanks for sharing. I think you have to do what you love. Blogging is a VERY important part of SEO...so once you're published, it can be a great way to reach readers who are Googling who might also see your book. I've had a lot of book sales through my blog--but you have to put the work in and most authors don't want to do that. You have to comment other people's blogs and support them, as well. For pre-pubbed authors, it can be a great way to be a part of a supportive community. But if social media/writing groups accomplishes the same thing and you enjoy it more, I say do that instead.